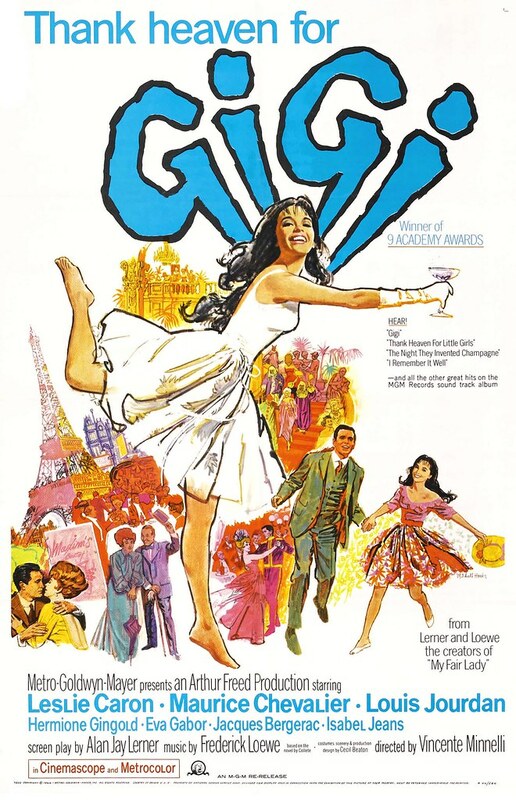 I've previously written about Mitchell Hooks' movie poster career, so I won't go over it again... but I thought it might be nice to have all his posters in one place - or at least what I've been able to compile so far, since I wasn't able to find them catalogued anywhere on the Internet. 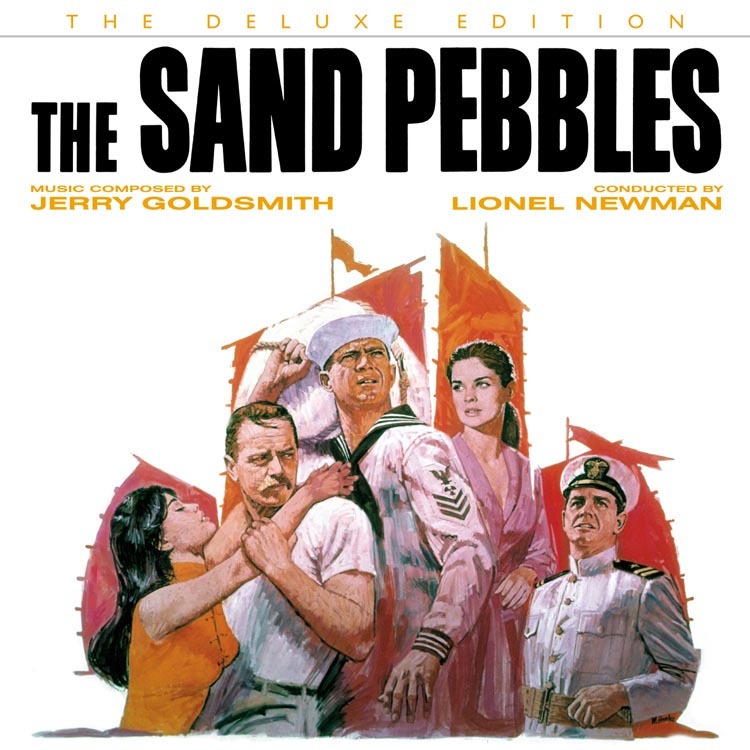 Many thanks to Crispin Garcia of thesandpebbles.com for providing the scans of Jessica, A Flea in Her Ear and, of course, The Sand Pebbles. Crispin wrote, "My initial interest in Mr. Hooks was that he is the artist who did the original artwork for The Sand Pebbles (1966)." 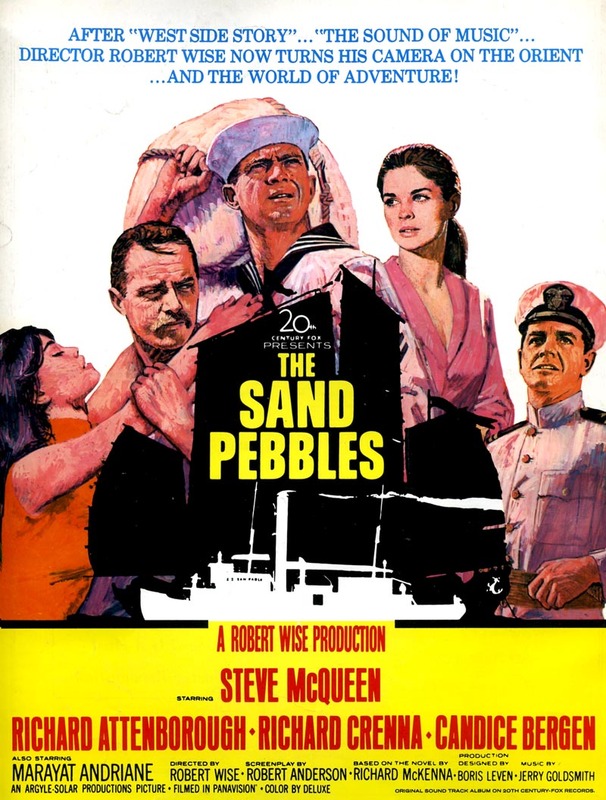 Crispin continues, "After The Sand Pebbles was released to critical acclaim there was an Oscar buzz generated by Steve McQueen's performance in the movie. To capitalize on this (and studios being studios) they decided to more prominently feature McQueen's character on the poster plus give it more of a war-like appeal. However, the movie is not a war film (although it has that element) but a character driven drama and romance. 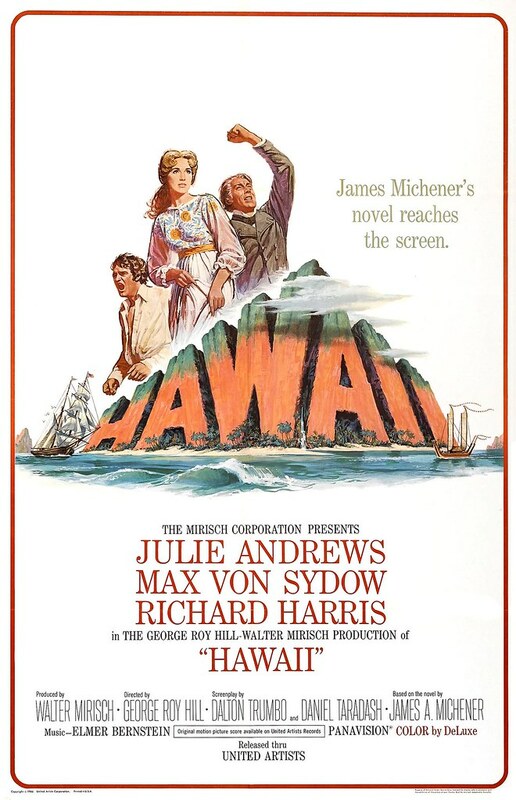 So to me Mr. Hooks captured the essence of the film better than did the more macho look of the recommissioned poster by Mr. Terpning (although I am also a big fan of this artwork as well). 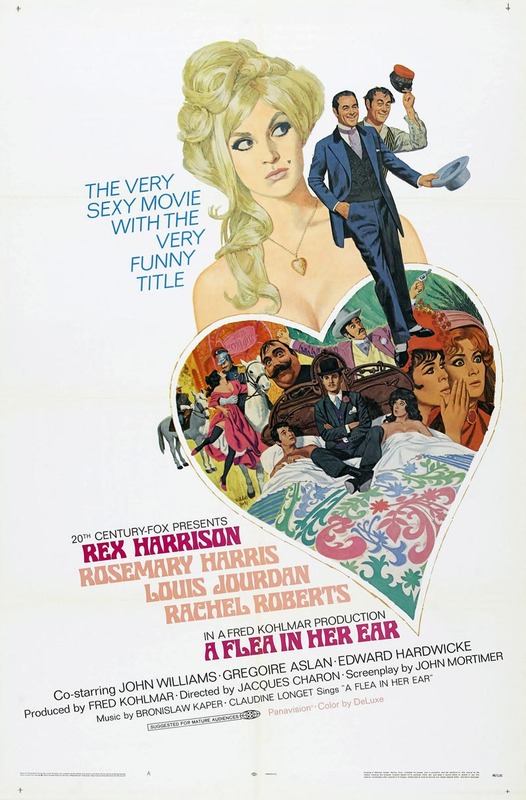 I am not sure when Mr. Hooks completed his artwork for the film but it was used in advance advertising and when the movie premiered on December 20, 1966. The Terpning version was completed in February 1967. The silhouette overlay with the Chinese junk and the U.S.S. 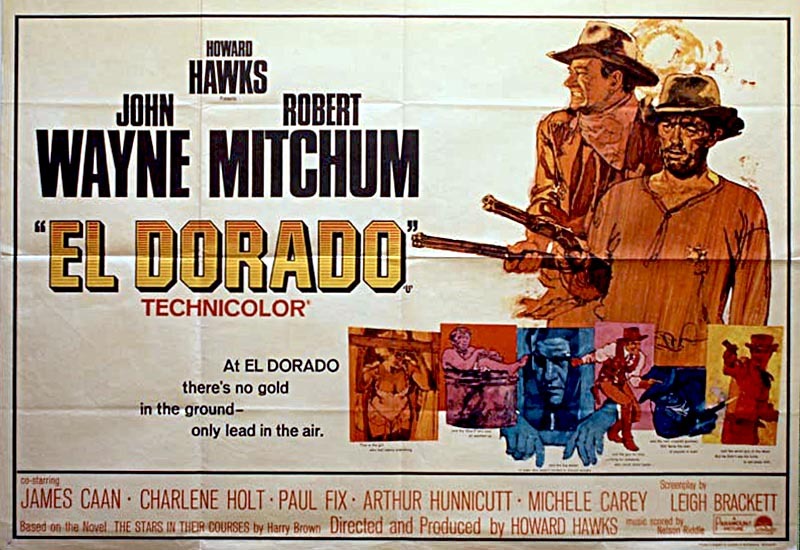 San Pablo on the Hooks movie poster was created by another famous poster artist Tom Jung." * Thanks also to Heritage Auctions for allowing me to use their scans of the Dr. No and Fu Manchu posters. Man...could he get fun with it? Excellent stuff. I love this era. That Fu Manchu poster...looks like marker. 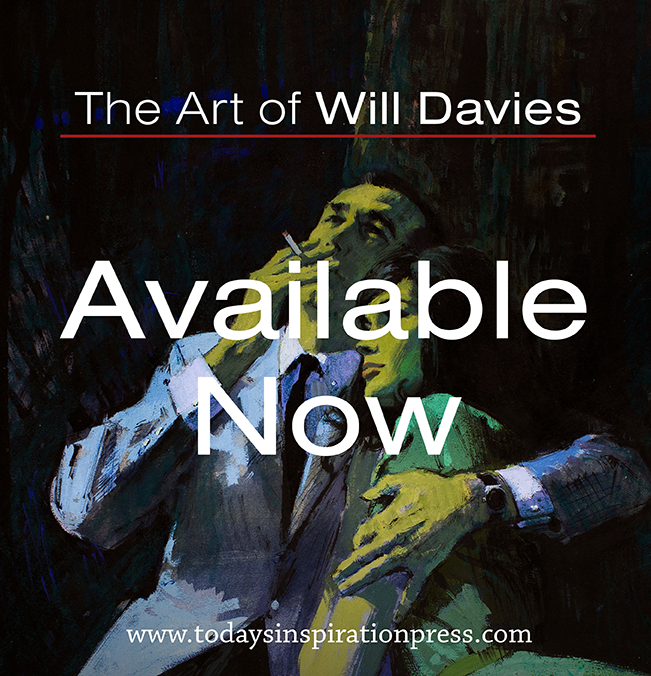 This is the artist that did the Dr. No poster?? I own an original "quad" poster of the wider yellow version of it. It's from England and it's the showpiece of my studio! I was dating a woman for about a year and we were having a few problems. One day she was in a bad mood and randomly began criticizing that poster saying it was poorly drawn. HA! That was the final straw. When she got home she found a message from me on her phone machine saying we both needed a break from each other. Fabulous...Mitchell has the gift to keep the freshness of characters synthesizing them (it's not a photo, is a drawn poster)...it looks something obvious, but only the best get it. Great. What a good contribution to illustration history this blog is! Thank you! WOW! Hooks was really great, I had never seen any of these illustrations before, I'm amazed. Holy cow. 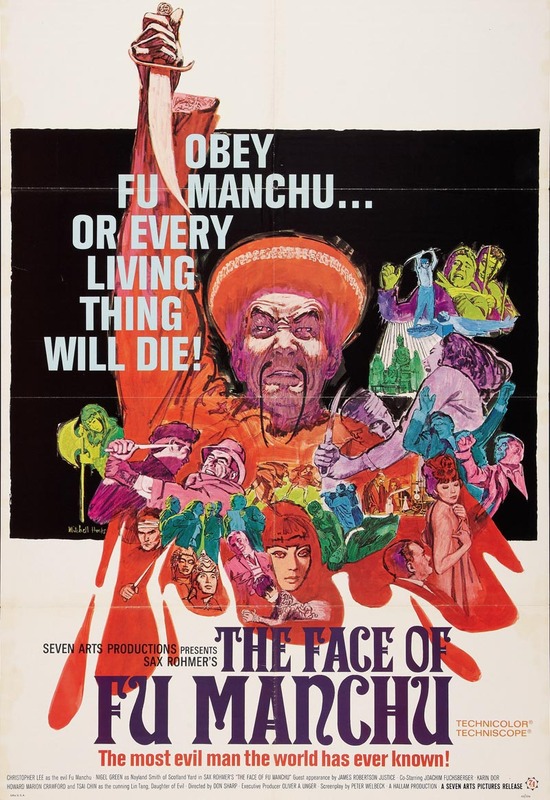 That Fu Manchu poster is astonishing. The composition of each of the individual vignettes is perfect, and then he blends them all together so perfectly. I would be hard-pressed to do a collage with just 3 or 4 of those. Yet there's gotta be 15 or more individual illustrations that make up that one single piece. Amazing. 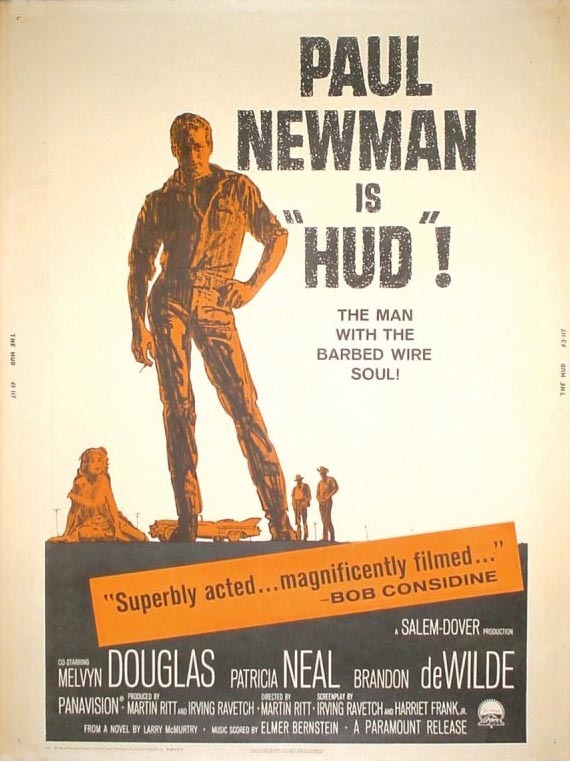 Why did he have Paul Newman posing like a fag on the poster for Hud.Just as well it wasn't for Cool Hand Luke or he'd have been in trouble in jail. Also,James Bond is the wrong color.The girl in yellow pops and distracts the eye away from Bond.That dull green was a mistake. Wow, Taylor; who pissed in your cornflakes this morning? You know, I've been doing this for a few years now so I sometimes feel like I've probably seen it all. But I'm still always kind of amazed that, when confronted by so much beauty and so much good intention; and having the choice to say something nice or to say nothing at all, there are people like you who choose to say something negative that adds no value to the conversation. Go take a look in the mirror, my friend. I fear you will find a troll staring back at you. Since when did you take responsibility for Mitchell Hooks work? If all you want from this blog is for everyone to cheer and applaud everything created by every illustrator you showcase,that's fine, just say so. 1. Paul Newman is posed in a very effeminate manner.NOT the essence of Hud, a great film with the beautiful Patricia Neal. 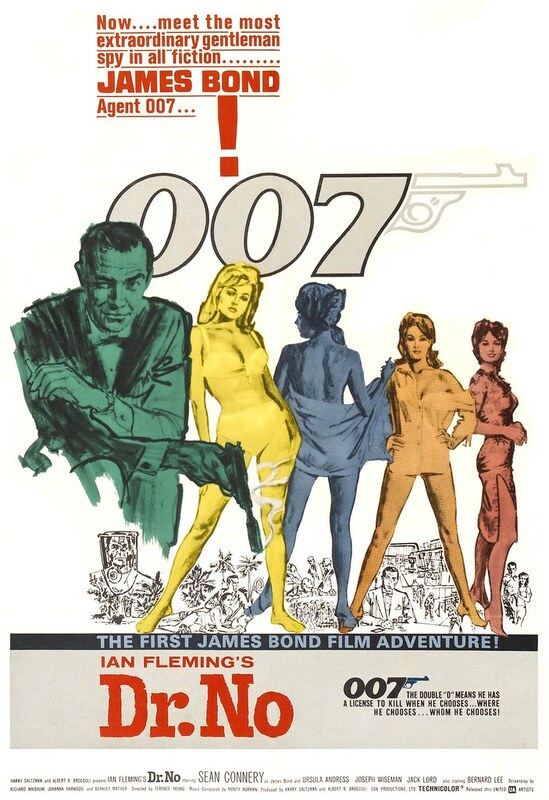 2.IMO Hooks chose the wrong colors to highlight the figures on that poster.Bond could have been red, signifying 'danger' for example. "Wow, man.Great work.This stuff really rocks." Is that all you want from contributors?